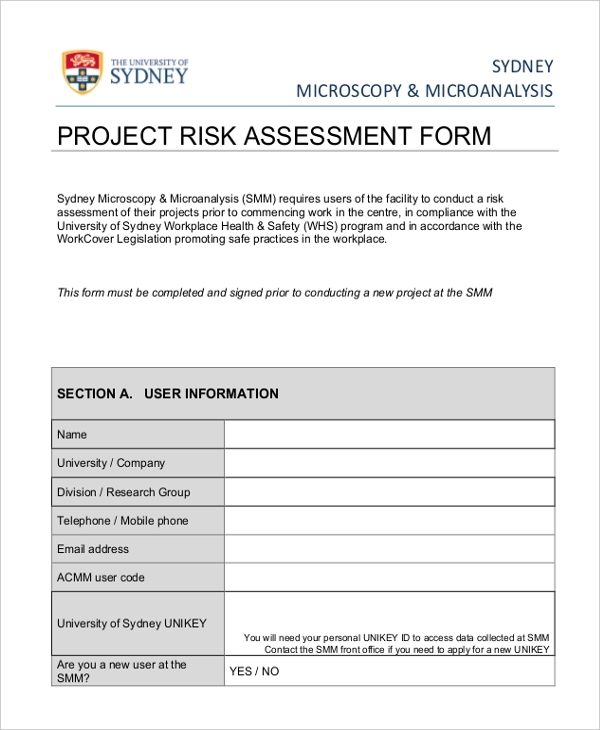 The risk assessment form uncovers the potential risks likely to befall your project, giving you the clear picture on what exactly to do to manage the risks. 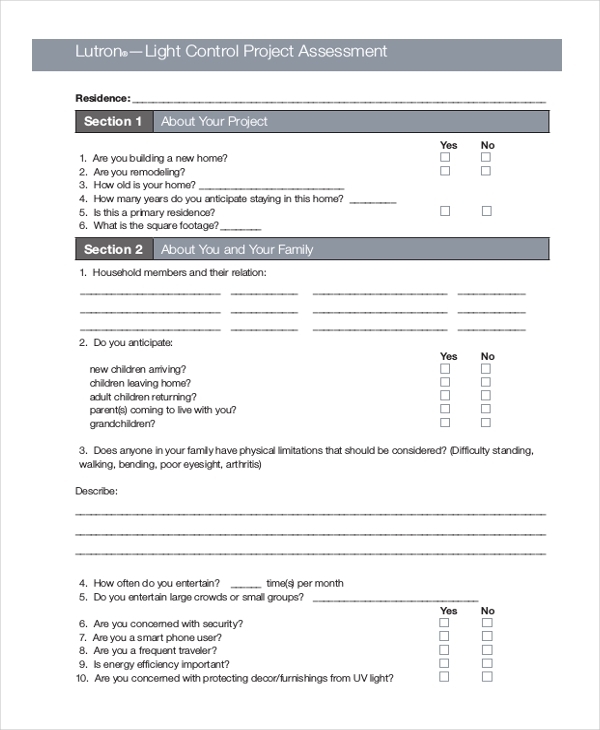 Use this form for help. The assessment of a project is an approach used to determine whether a project is or will be valuable as expected after the development of the project. 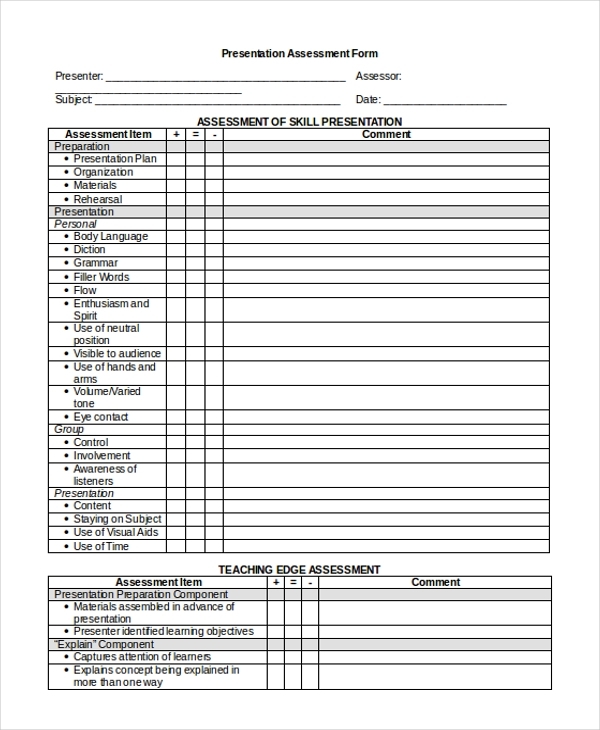 Use the following PDF file for assessment. The form helps you to rate any kind of project presentation. By rating a presentation based on objective reason, you are able to determine which project is better that the other. After project testing and implementation, it is necessary to evaluate the project and find out what the exact impact has been for a specific period. 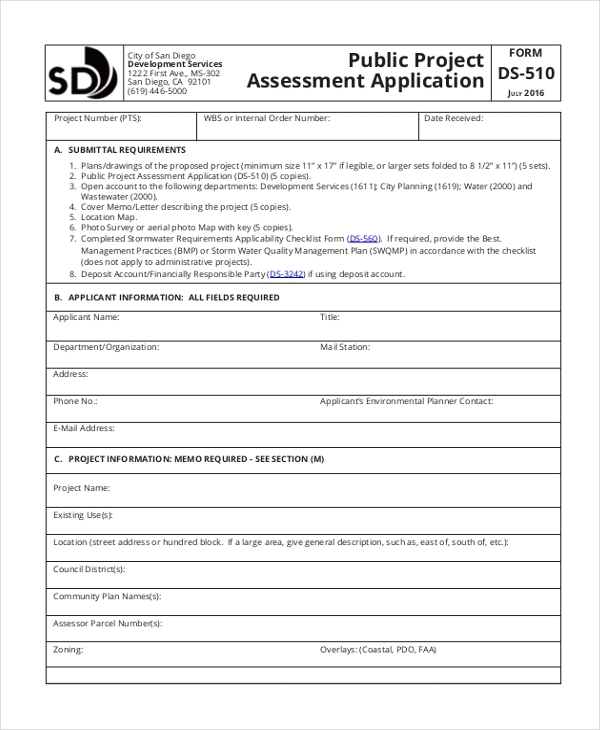 You can use the following assessment form. 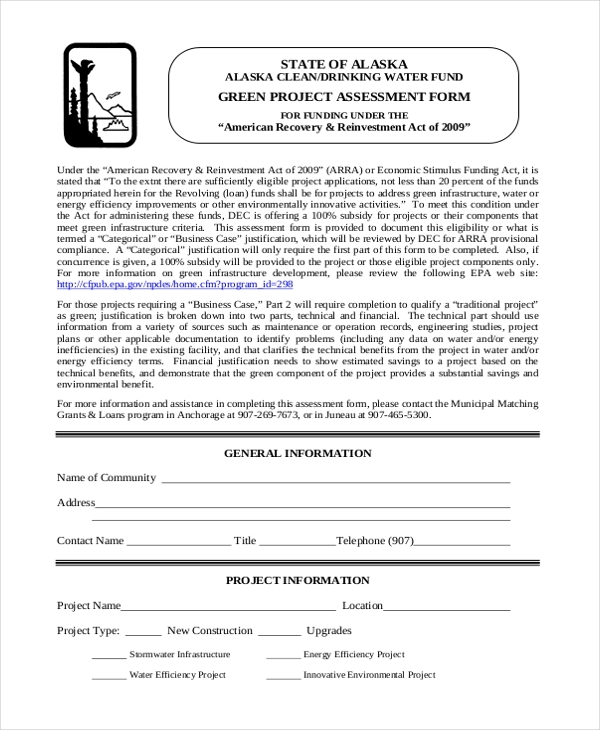 A preliminary assessment helps to determine whether a project meets the intended objectives as highlighted in the project plan. 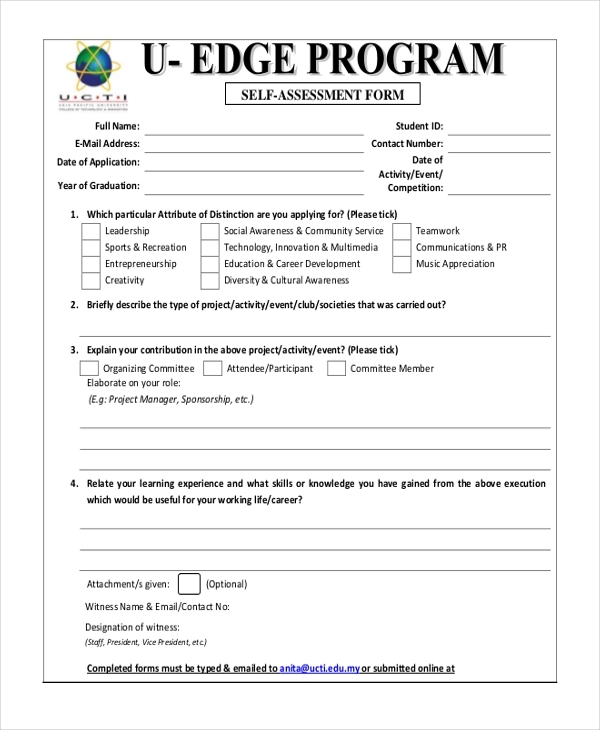 You will find the form below and is useful for preliminary project assessment. How much you end up spending on a project will depend on the size of the assignment on hand. You should, however, assess the project before it starts, during development, and after completion. A light control project can be a great investment if it works for your business, but you must conduct an assessment to determine the profitability of the project. 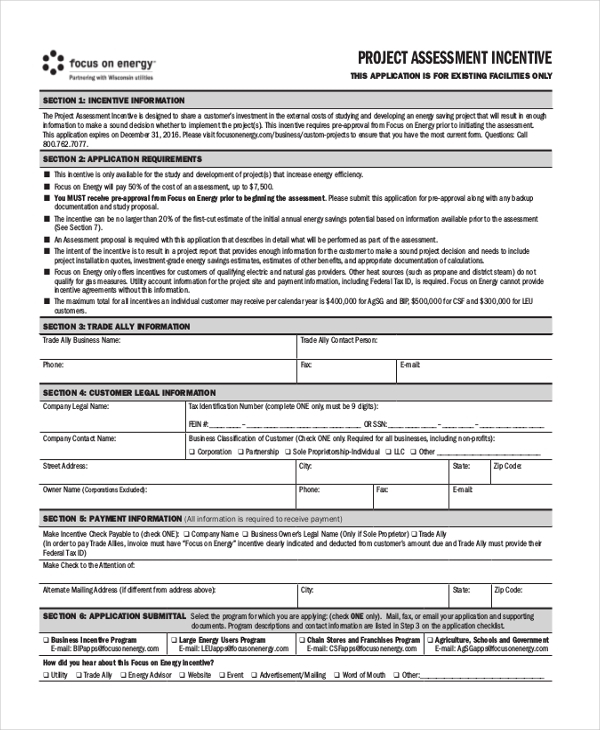 Use the sample form below. 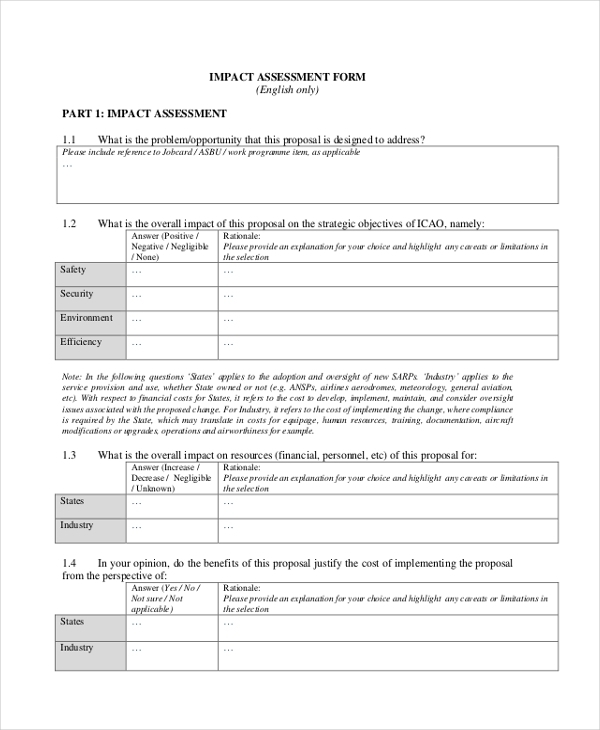 Evaluate, review, and rate a project to determine its value and efficacy. The review process is almost always simple, so it shouldn’t take you very long to complete the analysis process. The only best way to tell the difference between the actual cost and benefits and the proposed cost and benefits of a project is to conduct a professional project assessment. A public project concerns a larger audience, but it must be as accurate as possible before releasing for use. 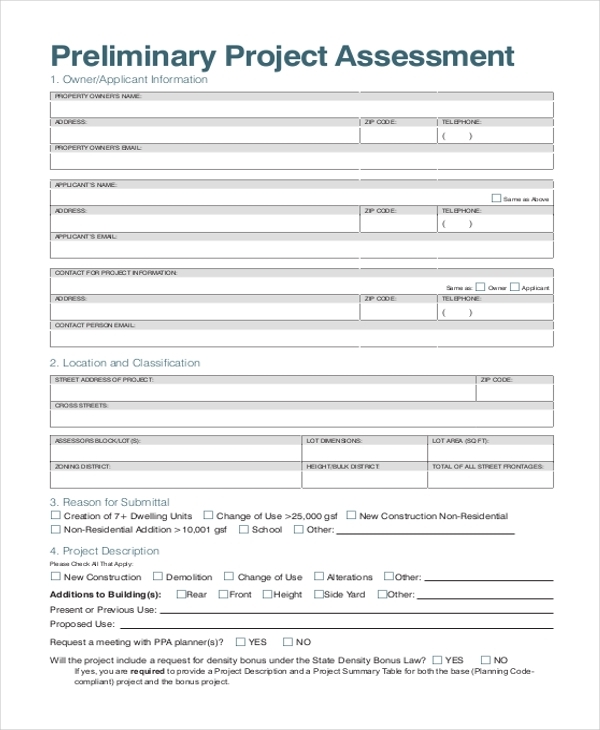 You need this form to analyze the project, find out whether it is stable and good enough for use. 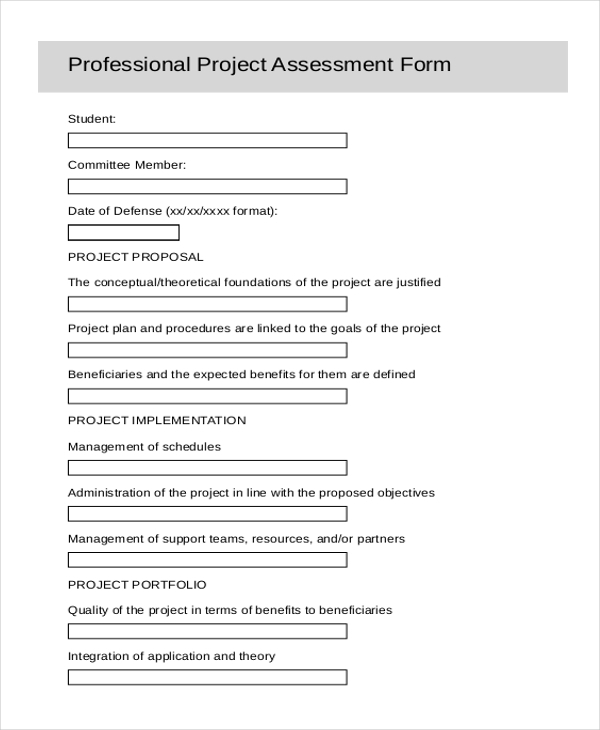 Project assessment is not a one-time task. The process must continue as long as your business exists. The more analysis you do, the more precise you can make your project.